A qualified decision by the President Barack Obama administration to deny, at least for now, a permit to construct the Keystone XL pipeline, which would originate in Canadian tar sands and go through Oklahoma, was met with incredulous, political hyperbole by Gov. Mary Fallin. Her reaction ignores any potential environmental impact caused by the pipeline’s construction, the possibility of a catastrophic spill here in Oklahoma and the country’s overwhelming need to reduce its dependence on foreign fossil fuels and develop clean and renewable energy sources. The Obama administration actually favors a pipeline from Cushing to the Gulf Coast and was forced to make a quick decision by recalcitrant Congressional Republicans, who made the pipeline decision a part of an unrelated bill to extend the payroll tax. The decision by the president to block construction of this pipeline is more evidence this administration is beholden to radical environmentalists and does not care about real job creation or the plight of tens of millions of unemployed Americans. I am outraged by President Obama’s obstructionism, poor judgment and lack of regard for a project that would help secure America’s energy independence, boost our economy and create hundreds of thousands of jobs. Note “radical environmentalists,” as if trying to prevent a devastating oil spill is somehow “radical,” and the argument that Obama practices “obstructionism” is ridiculous, given the theatrical antics of Congressional Republicans over the last year. Consequently, the statement could be viewed as simple pandering to the Republican base this election year, but it’s highly unlikely, at this point, Oklahoma voters would give Obama a majority over any Republican candidate. The anti-Obama hysteria, stoked by prominent Republicans, from Fallin to U.S. Sen. Jim Inhofe, has become a formulaic trope. It lacks meaning, and, unfortunately, has the potential to further isolate the state if Obama is reelected, which grows more likely by the day. The editorial page of The Oklahoman, for a change, was less hyperbolic than Fallin about the issue but still unreasonable. Anticipating the administration’s decision to deny the permit, an editorial lamented that the “president has advanced green initiatives at every turn,” as if there’s something wrong with that, and argued environmentalists use a “worst-case scenario” in their opposition to the pipeline. There is nothing wrong with believing in the importance of the environment nor is there anything wrong with looking at the history of major oil spills in the country, including the recent BP spill in the Gulf of Mexico and taking time to appropriately determine risk factors. Ironically, if there were a major pipeline oil spill in Oklahoma, the state’s leaders would demand an immediate and costly response from the federal government no matter who was president, including Obama. But perhaps even worse than the editorial was the newspaper’s immediate coverage of the administration’s decision. 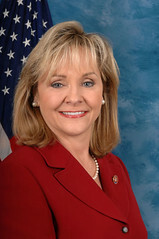 In an article on NewsOK.com titled, “Oklahomans respond to Keystone XL decision,” six congressional Oklahoma Republicans, including outgoing U.S. Rep. Dan Boren, a Democrat, predictably criticized the decision and only one opponent, local Sierra Club director David Ocamb, was given space to praise it. This is what passes for “journalism” in this state these days. Can The Oklahoman at least broaden is “reaction” pool to better reflect the diversity of argument over the pipeline and other issues? (1) The Obama administration noted that its primary concern was with the pipeline’s path through Nebraska, which initially included the state’s Sandhills region. There’s nothing preventing TransCanada, the company which would build the pipeline, from reapplying once this issue is clearly resolved. The point is that the decision was limited, not “radical,” prudent, not political. (2) Republicans failed in their political gambit to force Obama to make a snap judgment about the pipeline. The administration has now expressed its concerns about Nebraska, said it favors a pipeline through Oklahoma and has presented itself as both a protector of the environment and in favor of new delivery platforms for fossil fuels. (3) By continuing to label as “radical” anyone who has a concern with the human impact on the environment, the Republicans alienate millions of younger people and others. It might not seem like it this year, especially in Oklahoma, but the current ideals of the Republican Party are obsolete and ignore basic demographics. The fact that the environment is important is a viable, mainstream idea. (4) The Republicans have tried to make the pipeline issue about jobs. The pipeline, according to those who favor it, is supposed to create 1,200 jobs in Oklahoma. But most of those jobs would be temporary. The financial impact here would be large, yes, but fleeting. It’s not the panacea held up by the Republicans. It’s quick money for a potential risk to our drinking water and for other environmental disasters. It’s difficult not to see all the political screeching as a result of the last belch of the Oil Age in which profiteers squeeze every last ounce of oil out of the ground without regard for the future. It’s simply a no-brainer that developing clean, renewable energy sources should be at the forefront of American policy.